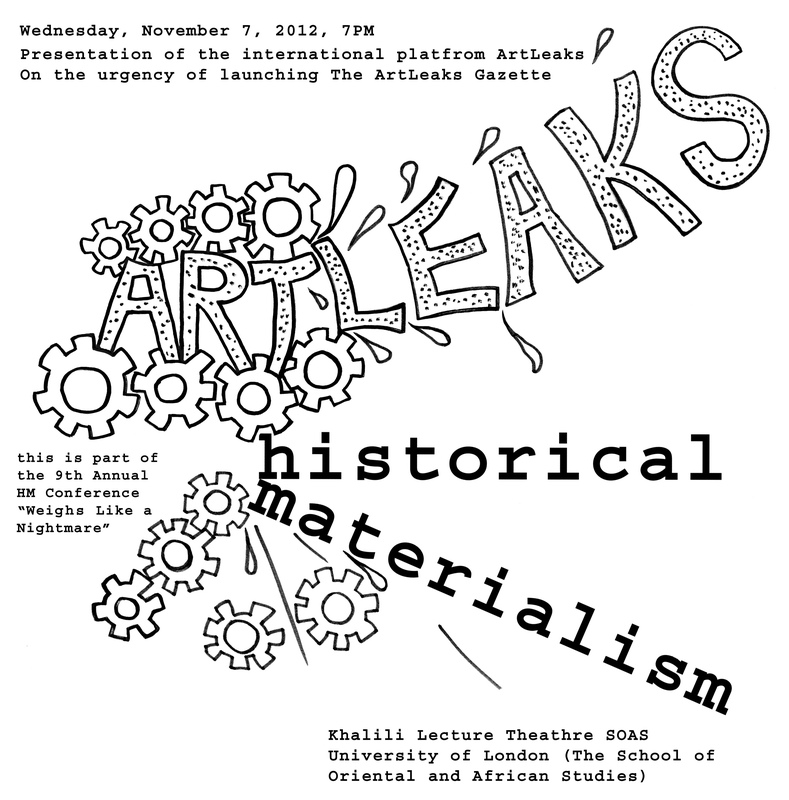 ArtLeaks is an international platform for cultural workers where instances of abuse, corruption and exploitation are exposed and submitted for public inquiry. ArtLeaks’ mission is to create a space where one could engage directly with actual conditions of cultural work internationally – conditions that affect those working in cultural production as well as those from traditionally creative fields. Furthermore, ArtLeaks is developing in the direction of creating transversal alliances between local activist and cultural workers groups, through which we may collectively tackle situation of repression and inequality. Here we will address methodological issues in analyzing the condition of cultural production and the system that allows for the facile exploitation of the cultural labor-force. We will try to relate methodology with concrete case studies of conflicts, exploitation, dissent across various regions of the world, drawing comparisons and providing local context for understanding them. This working group will develop and practice artistic forms of narration which cannot be fully articulated through direct “leaking”. Our focus will be finding new languages for narration of systemic dysfunctions . We expect these elaborations to take different forms of artistic contributions, such as comics, poems, drawings, short stories, librettos etc. The editorial council for the first issue of the ArtLeaks Gazette will consist of: Corina L. Apostol, Vladan Jeremić, Vlad Morariu, David Riff and Dmitry Vilensky. Many thanks to Historical Materialism & Steve Edwards for hosting us!